Nature in Pais Vasco | eat. write. smile. The food here is amazing, but so is the landscape. After one solid month of rain, the sun has come out and it feels like spring is finally here. 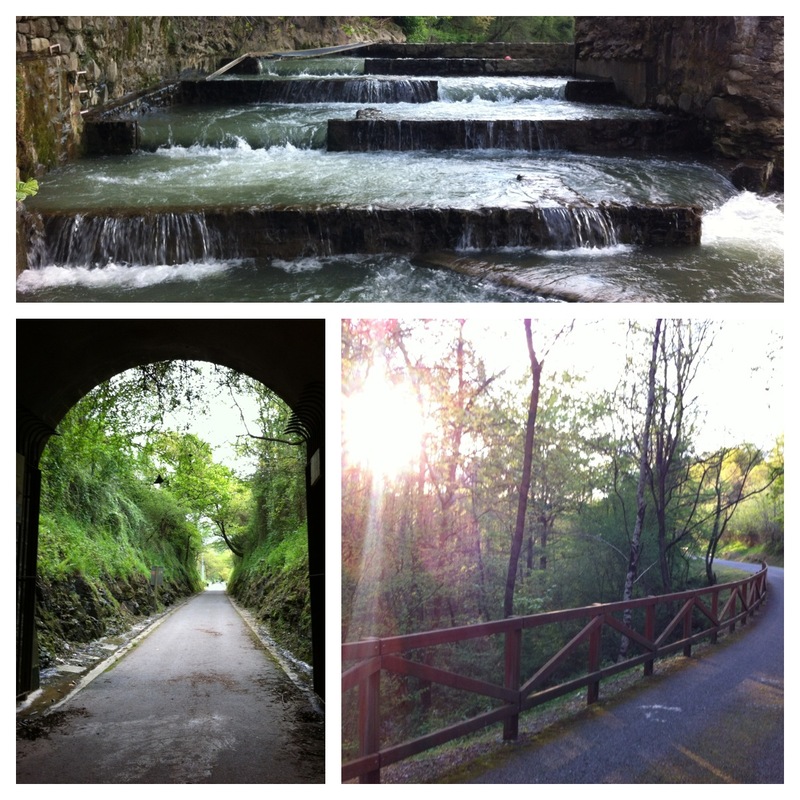 Here are three shots from my afternoon run yesterday. Top: una escala piscicola – a fish ladder- on the Oria River, built in 1998 to help rebuild the fish population. Below left: a long tunnel from the Loidi neighborhood of Lasarte that opens onto a cathedral of green. Below right: the winding foot path that leads to the nearby town of Urnieta. The sun was shining, the river was rushing, and this girl was smiling ear to ear. This entry was posted on May 2, 2012 by Ruthie in BasqueStage, Quick Pic, Travel and tagged BasqueStage, Lasarte-Oria, nature, Running.